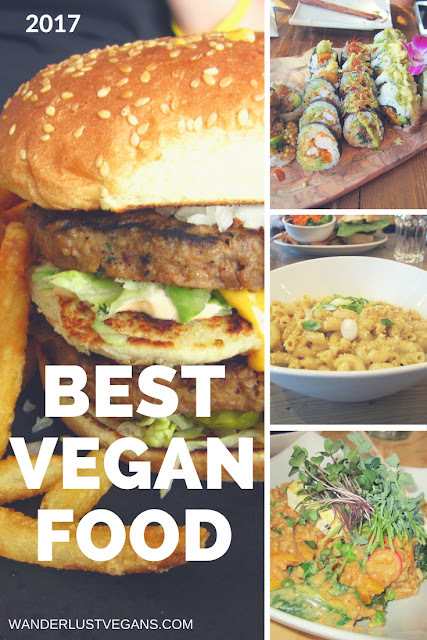 Do you remember our post 'Best Vegan Food of 2016'? Do you remember how hungry it made you?! How you bought that one-way ticket to Europe to indulge in the delicious looking food we found? ... Do you have money saved up? Get your wallet ready, you just might buy a ticket to Canada this year! We had the pleasure to hangout with Alternative travelers and we went to a very popular dinner spot in Madrid. B13 definitely was delicious and we are happy we went with them. At the Vegan Life Live festival in London we had some top notch doner kebab wraps from What the Pitta. It's got to be one of the best wraps we've ever had. The sauce was fantastic. We had a great time visiting York on our train trip to northern England. El Piano came highly recommended and we have to agree that it is a great place to eat in York. The curry we had was very tasty. We visited Nottingham a couple times and both time we ate at Annies Burger Shack. We were very impressed by this place and the fact that although it is not a vegan place, every burger on the menu can be made vegan. There is a long list of burgers on the menu too. We always enjoy delicious vegan Vietnamese food and so we were impressed with Pho in Birmingham. It opened up the New Street station when we were there so we checked it out. It was nice and everything we had was great tasting. During our last hurrah in London, as we say, we went to a bunch of vegan restaurants. London has a lot of vegan options. Mooshies had a burger that was like a fish burger but made with eggplant. It was so good and the tartar sauce was the best. Picky Wops was another place we tried in London. They made some great pizza. It's a gourmet pizza place with all sorts of toppings and crusts. They even have stuffed crusts! Wow. We have to go to Cookies and Scream everytime we go to London. They have the best desserts. We're lucky we don't live in London because we'd get super fat going here all the time. The shakes and the ice cream sandwiches we so good. Being back in Vancouver we had to check out our favourite food cart, the Loving Hut food cart. We also checked out Meet on Main another fantastic place for a burger. To change things up we had some excellent mac and cheese. So much for changing things up because when visiting Victoria we checked out the posh vegan restaurant called Be Love. It was great as well but a bit more posh and healthy tasting. We were somewhat surprised that there was a Vegan Butcher shop, so to speak, in Victoria called The Very Good Butchers. They had some tasty sandwiches and mac and cheese again. Vegan mac and cheese seems to be a common thing now. One of the best things about old school Victoria vegan restaurant Green Cuisine is the desserts. Sometimes we go out to eat somewhere else in Victoria and then go to Green Cuisine for dessert. Duncan is not a big town but they have an amazing cafe called the Garage. They have great coffee and all sorts of vegan baked goods from sausage rolls, Jamaican pasties, and cinnamon buns. We loved stopping by this place. 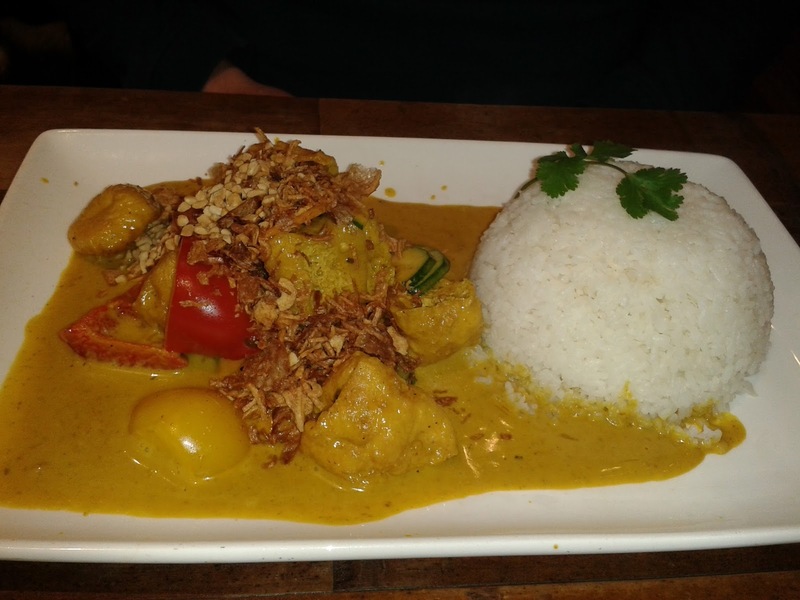 Curry Point is one of our favourites. Why is it so good? This place is so cheap and the curry is the best. It's in a mall food court in Nanaimo, so not a good place for a fancy dinner but for a casual fast food place this cannot be beat. Apocalypse Now! in Toronto is such a cool pizza place with the most creative toppings ever. This was a place that was on our bucket list because of all the amazing photos we've seen online on facebook and instagram. It was everything we hoped and we have to go there again. The burgers at Doomies in Toronto were epic. This is definitely not health food. I think you could take any burger aficionado here and they would be satisfied as it is top notch gourmet junk food. Being from the west coast we've had a lot of vegan sushi. We were a bit surprised to find that the best vegan sushi in the world is made at Momo in Montreal. The sushi came out and we almost didn't want to eat it because it looked like art. It was all delicious. Very creative. Being in Halifax Nova Scotia we were on the lookout for a vegan version of the donair. Donair is one of the most popular fast foods in Halifax and we got some at Wild Leek Cafe in Halifax. It was fantastic and the sauce was spot on. On our detour to the USA to visit some family we made it to the Instagram famous Herbivorous Butcher in Minneapolis Minnesota. The make vegan versions of all the stuff you'd find in a butcher shop or deli. They make the best vegan cheese we've ever had and the jerky and Korean ribs we tried we pretty good too. It's been a fun year and food wise it's been a yummy year as always. We've found lots of places to eat with great food and atmosphere as well. If you ever get the chance, check out one of these amazing places. If you would like to see more vegan goodness, check out our post "Best Vegan Food of 2015"
And Pin this post for later, when you get on a plane to Canada.